The eruption at Colima volcano is intensifying. A new strong vulcanian explosion took place yesterday at 14:20 local time. 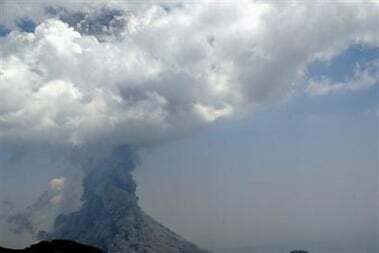 The eruption was the strongest one so far recorded, exceeding the eruption from 30 May by a factor or 1.2 and 3 times the one from 17 July 1999. An ash plume rose more than 5 km above the crater top, reaching about 9 km a.s.l. that drifted SSW at a speed of about 30 km/h. Pyroclastic flows were generated that practically covered all of the mountain´s slopes.